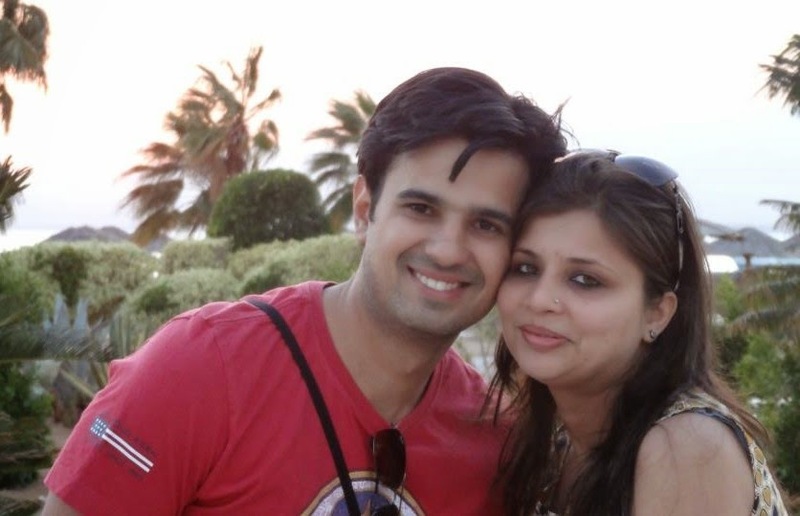 There is something about the dishes that originate from the western part of India. They have great universal appeal - be it vada pavs, dabheli, bhel puri or pav bhaji. 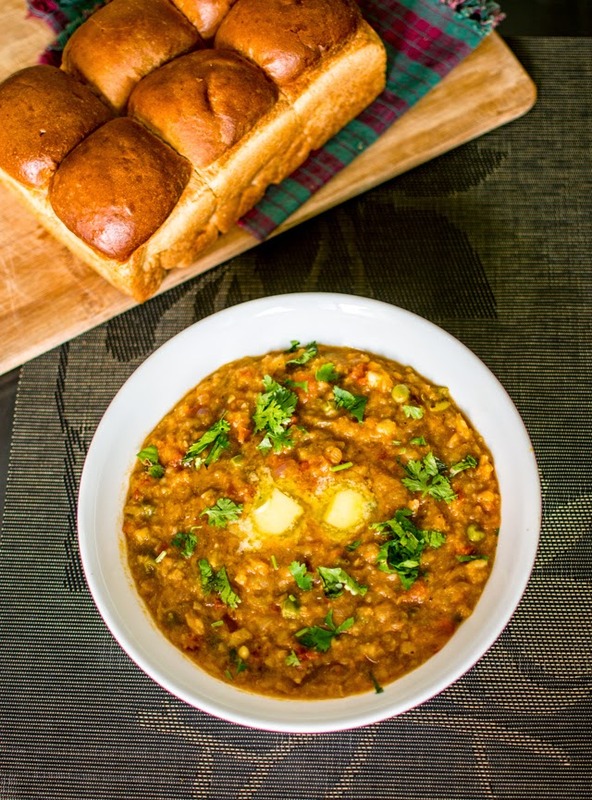 Made popular on the streets of Mumbai, Pav Bhaji is a unanimous favourite - be it the rich or the poor, the simpleton or the gourmet-minded, it is a dish for all seasons. 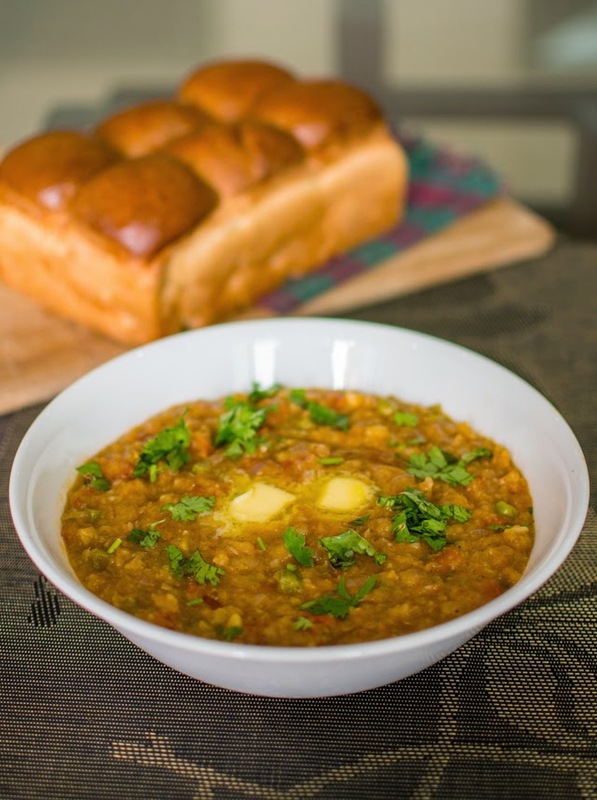 The basic recipe is a potato based gravy (bhaji) served with fresh and soft buns (pav). However, we have grown up on it's North Indian version which is very similar but uses much more veggies in the bhaji and limited use of garlic. This is the version that has been cooked by our mothers since we were young. This is a simple tribute to that tradition. Whichever version you decide to make, this is a perfect weekend breakfast. 1. In a pressure cooker, add the grated bottle gourd, pumpkin, capsicum, carrot, cabbage, cauliflower and ginger. 2. Add peas and 1 cup water to the pressure cooker. Add a little bit of salt to it as well. 3. Close the pressure cooker like and let it cook on high flame for about 4 - 5 whistles. 4. In a separate wok or large pan, add generous quantity of ghee (~ 2 tbsp) and sauté onions till they are golden brown. Then add the chopped tomatoes and keep cooking. 6. Now add the cooking vegetables, mashed potatoes to the onion and tomato mix to create the bhaji base. Keep cooking on low flame. 7. In a small pan, add butter. When butter is hot, add all spices to it. And let's be clear, butter does make this dish better!! 9. Mix the spices-butter tadka with the vegetables. Add lemon juice and let it cook for another 5 mins - This is serious cooking and will require loads of patience to bring out the flavours. 10. Add water to get the desired consistency - not like a curry but neither like a dry vegetable. Garnish with butter and coriander and serve with butter toasted buns.